These are a sample of letters and quotes from people who have known Jon. “During the past 28 years of living in Ferndale I have been aware that Jon Mutchler was a “mover and shaker” in our city. He is simply what most people look for in a candidate for office, one who listens, responds, and reports back to the people he represents in a timely manner. His honesty is unquestioned, in my opinion. My first informative letter came after Jon was narrowly elected to the Ferndale city council. The periodic informational letters are a delight to read. They are not only informative but well written and touch on the important things the council is currently working on and what they are planning as well. I looked forward to those periodic updates over his time in office. His availability is also notable; Woods Coffee mornings are his open door to the community. I met him there as did several others that said that they had met with him there also. He often takes notes of a conversation to bring our ideas to the council. No one else does that. “I’m backing Jon Mutchler for Mayor of Ferndale. Will you join me? Ferndale has prospered in a difficult time under the strong leadership of its current mayor, Gary Jensen, and I think it’s imperative that we continue on this path. My line of work occasionally draws me into Ferndale City Council meetings to listen and to be heard. I happened to be in attendance at Jon Mutchler’s first city council meeting and I was immediately impressed with his participation and critical thinking on his first night. I thought to myself “He is going to be a true asset to the city council and the Ferndale community,” and he certainly has been. “Let’s vote for a mayor who will reach out, inform, and keep your interests in mind. I believe Jon Mutchler is that type of leader. My neighborhood has personally witnessed his commitment to these qualities. Last October the city came within three days of voting to declare a beautiful, developed city park “surplus” so they could sell it to developers. 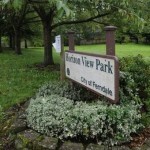 Contrary to what they had been told, Horizon View Park is a beautiful, city-maintained, and well-loved park. When Jon discovered the facts he decided the city should inform the local residents what they were about to lose, even though the city wasn’t required to do so. He personally hand-delivered the notice to affected neighbors. By informing our neighborhood about the city’s plans, Jon demonstrated a genuine concern for the average, hard-working folks who were about to lose one of their neighborhood’s most cherished assets. It gave all of us the opportunity to address the council at the 11th hour. We did and most of them listened, except one. “As a resident of Ferndale who attended Ferndale schools while growing up I have seen a lot of changes in Ferndale. It was not that many years ago that we had a junkyard where the Ferndale Haggen and associated businesses are now located. This is just one of many changes that have occurred in Ferndale over the years. We have been so fortunate to have many changes that have improved the family friendly lifestyle of Ferndale while maintaining the small community feel that we love. I believe Jon Mutchler cares most about families and individuals. I have observed him greeting warmly members of our community that were in the greatest need and not even of the capacity to vote long before he became a candidate for local government. He continues to be that same compassionate individual today. Jon’s family reflects positively for Ferndale. I am glad they are a part of Ferndale. I am also glad to count Jon a friend in the community that I trust to act with the best interest of all Ferndale residents. “I am stunned that a supporter of Cathy Watson is criticizing mayoral candidate Jon Mutchler because a few of us who build homes in Ferndale support him. Most people don’t realize the layers of government, codes and expenses we go through before we put the first shovel in the ground or hang a 2 x 4. 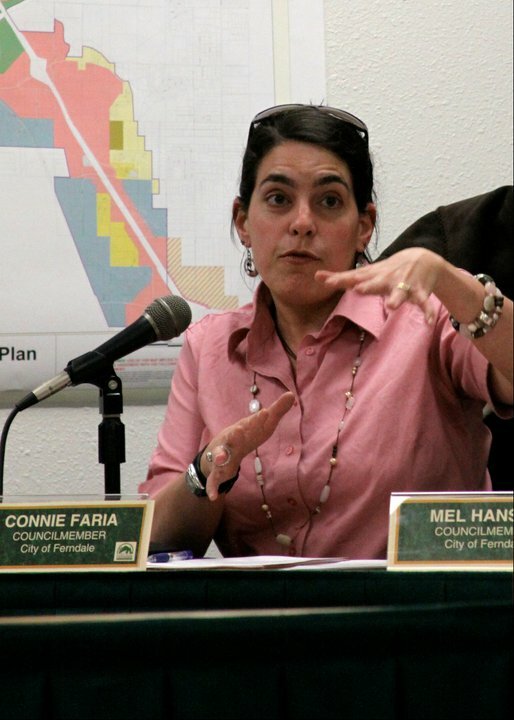 Those $22,000-$28,000 in permit, impact and hookup fees we pay the city of Ferndale? We actually don’t. 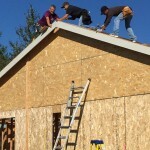 We add that to the cost of the home, pass them along to the buyer, or we don’t build. And that’s when home prices go up. 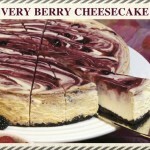 Less inventory, more demand and higher prices like they have in Bellingham. I am proud to support Jon Mutchler. I’ve known him for 30 years and he gets it. 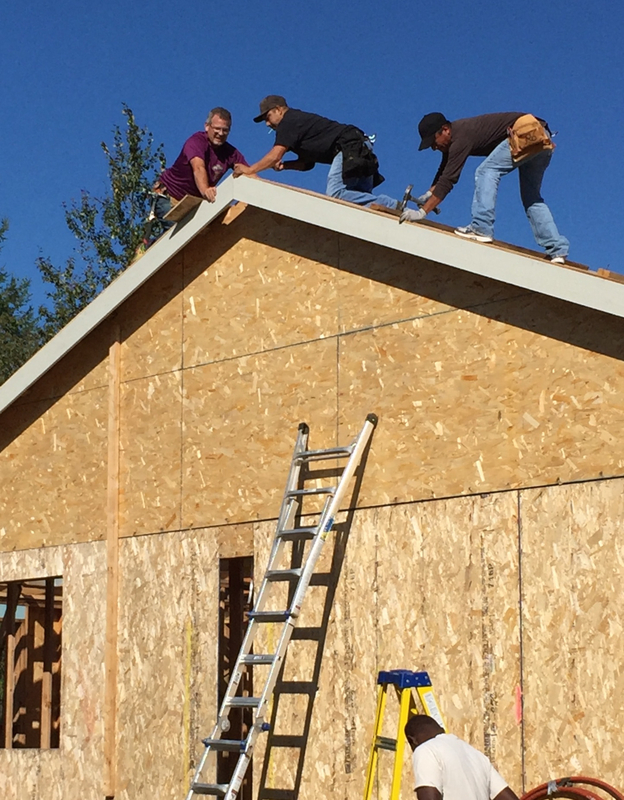 He’s built two family homes and volunteered to help 37 families over the last dozen years build their first homes (with the Whatom/Skagit self-help home program). To me that’s having skin in the game. 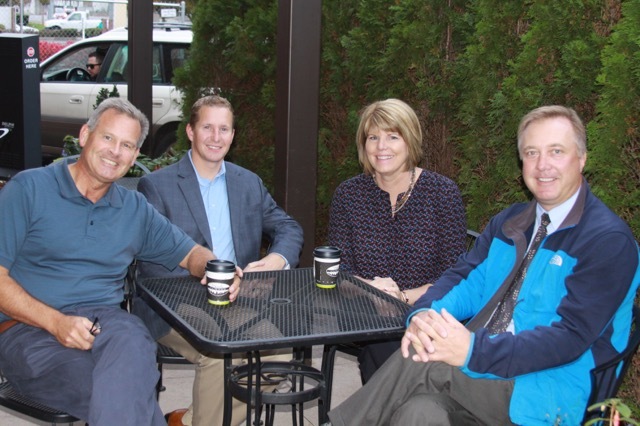 “I believe Jon Mutcher, a candidate for the mayor of Ferndale, is dependably dependable. I speak from experience. My husband Boone, who is a math teacher at Ferndale High, and I have known Jon for 32 years. 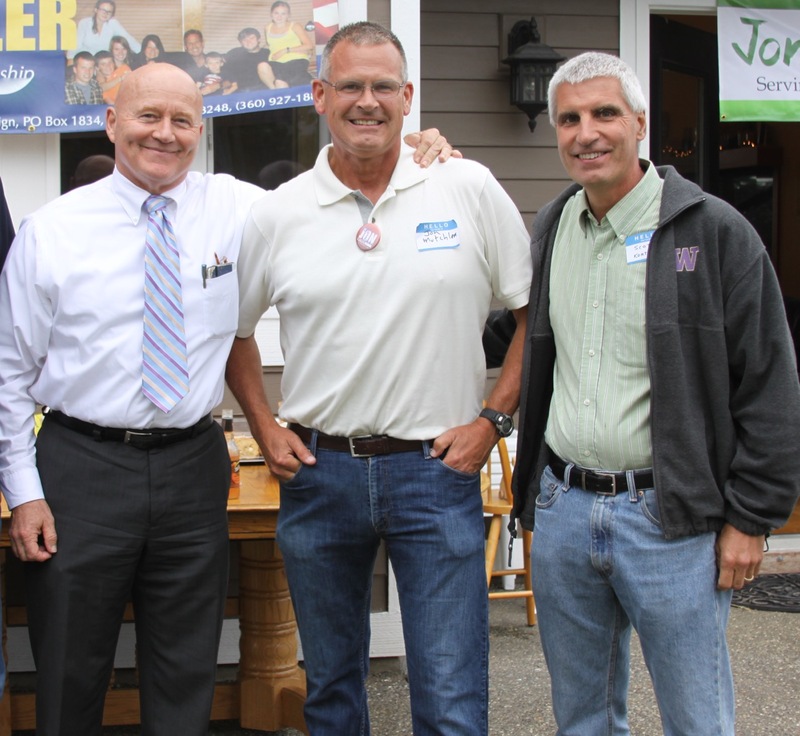 I believe the enthusiastic, service-oriented Jon Mutchler that we knew back in college at WWU, and whom Boone drove tour buses with during Alaska summers, will make an excellent mayor of Ferndale. Jon volunteers personally and tirelessly in our community. When we were building our home nine years ago, Jon would stop by while he was out cycling and ask if he could help pound nails for an afternoon. When several of our children were Jon’s piano students a few years later, Jon graciously offered one of our children a whole year of free lessons. Jon’s service, leadership and caring nature are the trademarks of who he is. Jon has lived in this community for three decades and knows the heartbeat of its citizens. Whether through the terms he served as a Ferndale City Counsil member, the hours he volunteered building with the Whatcom-Skagit Housing, or by just grabbing a rake and shovel and helping with a Saturday community clean up, Jon has faithfully led through service and caring. “I vote regularly. I used to believe that was enough. I have never been personally involved in a political campaign. This time, it is not enough. I believe the mayoral race in Ferndale is crucial to all this year. Jon Mutchler is the candidate I believe will look out for all. I am an unabashed Democrat. Jon has never made any declaration of party preference, as it should be. Jon’s actions have been non-partisan. He looks out for all. I believe people who say he is beholden to special interests are wrong. Campaign contributions were made by Ferndale families and small businesses hoping to have someone who will listen to them and protect their quality of life. I’ve witnessed what I believe to be the absolute lack of regard for that from his opponent. Watson voted against the others to raze our neighborhood park— a place where kids play daily and overworked adults take a breath. PS: Note from Jon: I have been endorsed by the Whatcom GOP, as well as others. “I miss Ferndale. I miss the small-town feel and walking into Haggen at any hour, knowing I will run into someone I know. I miss serving on the City Council and attending meetings, asking questions and making decisions to serve my friends, my family and my city well. I frequently read the newspapers and see what other people are writing about the candidates. I see what is getting posted online. I don’t like when people stoop low. I don’t like mud-slinging. I don’t like the negativity. This is Ferndale. We can do better. Serving on a City Council has ups and downs and it’s important that you know how to handle a variety of personalities. Not everyone agrees and not everyone is nice when they don’t agree. It’s important to be level-headed, be respectful and ask lots of questions to understand the details of government. I served on the City Council for four years and served with Jon Mutchler for two. I always appreciated his respect toward other council members and towards the city staff. I didn’t hear him berate people. I didn’t hear him patronize those who didn’t understand his point. If he didn’t understand an issue, he asked questions and met with staff outside of meeting times so he would. Jon Mutchler is fair. He listens to all sides before making a decision. Jon Mutchler talks to business owners to understand their needs. Jon Mutchler is always available to listen to the community and is often at Wood’s Coffee for people to stop by and visit. 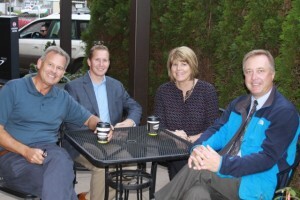 Jon Mutchler, Rep. Vince Buys, Rep. Luanne VanWerven, Sen. Doug Ericksen. “We are 50-year residents of Ferndale and business owners in the city’s downtown core. We have known Jon Mutchler for over 25 years and know that he has the knowledge and experience to be a friend to local small family businesses. Jon has many strong points. Near the top is his ability and willingness to communicate to citizens the things that City Council and City Hall are doing that impact our lives. As a current member of the Ferndale City Council, he’s open, transparent and committed to keeping us all “in the loop.” We know this practice will continue with Jon as our next mayor. 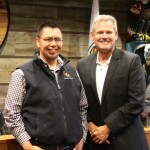 There are reasons Mayor Gary Jensen has endorsed Jon to succeed him as mayor. Jon is committed to seeing Ferndale grow in a responsible way that will help us maintain our small town feel. “I’m writing to support Jon Mutchler in his bid to be the next mayor of Ferndale. 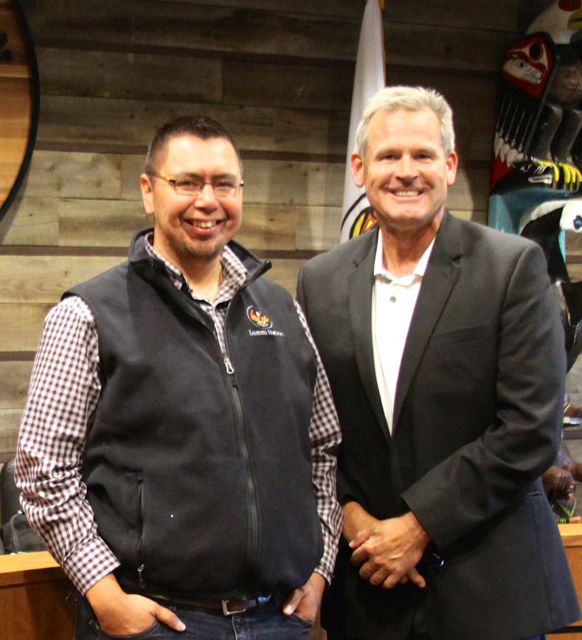 Jon has served on the City Council for the past six years and is endorsed by the outgoing mayor. He has lived in Ferndale for 28 years, raised a large family, built several homes, and pastored a local church as his primary occupation. Some people believe a Christian pastor is too conservative for government office. I think the opposite is true. Jon must be accountable to his family, his faith, a church congregation, and now the city of Ferndale. The fact that he’s carried this mantle for several decades and is widely respected amongst this city’s residents as a leader makes him exceptionally qualified to hold public office. “My vote is for Jon Mutchler! Having known Jon for almost five years as a friend, athlete, pastor and Ferndale City Council member, I find Jon’s professional, intelligent, respectful and positive character exemplified in numerous public settings. As a Ferndale planning commissioner, I have made recommendations to City Council and have interacted with Jon on myriad topics with our citizens and business owners in Ferndale. I believe Jon has superlative knowledge of Ferndale’s budgets, geography, demographics, infrastructure, services, zoning regulations and building codes and is keenly interested in understanding each viewpoint and works to achieve the desired results with kindness and understanding. I believe Jon is easily the best-qualified mayoral candidate. Not once have I heard him make disparaging comments about anyone, even though support for the opposition has not been as valorous by trying to paint him as being backed by “big developers.” Ferndale has local business owners, builders, retailers, restaurants, service providers and manufacturers, each of whom is interested in helping our fine city create jobs to grow and prosper. “I have known Jon Mutchler for most of seven years that I have lived in Ferndale, relating to him in a variety of ways throughout that time, including as one of his adult piano students, cycling together in the surrounding countryside and discussing faith and politics over coffee. I have found Jon to be an honest, thoughtful man of intelligence and integrity that seeks to do his best to genuinely hear and understand others. I appreciate his energy, humor, multifaceted life and care for his community. He also often asked about my involvement on the Ferndale Arts Commission during my term. 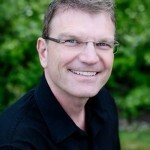 I have known Jon to be an excellent professional concert pianist at the Semiahmoo Resort as well as volunteering as a piano player at Louisa Place and for other community functions. Jon also supports the Arts through Ferndale Dance and has been a regular promoter of the Ten Thousand Villages Craft Sale held each Fall at Good News Fellowship Church. Jon is also well respected as a member of the Ferndale City Council, serving on planning and land use; finance and administration committees. “I am a volunteer serving on the Ferndale Parks, Recreation and Trails Advisory Board and as such I donate time to meet, discuss and advise the city on how to improve our parks and trails with limited city resources. We met for months to advise the city on how to move forward with the parks district proposal “Proposition 1” on your ballot this year. In a slim vote the city council rejected significant parts of our proposal. Following that vote, council member Jon Mutchler reached out to us and invited us back to council to share mutual concerns. So we came to speak at the next meeting, at his and the mayor’s invitation. I felt attacked, insulted and bullied by council members Cathy Watson, Keith Olson and Paul Ingram because we dared to challenge the decisions of council. I believe nearly everyone in the room was embarrassed by the actions of these members and many said so afterward. Don’t take our word, you can judge for yourself. 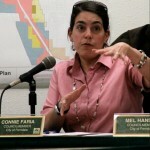 We invite you to hear from council members yourself at the CityofFerndale.org. At the City Council section, look under past meeting audio recordings Feb 2, 2015. Start listening around minute 50. “I am a long time resident of Whatcom County and the city of Ferndale. 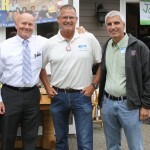 I support Jon Mutchler as Ferndale’s next mayor. I have had the pleasure of knowing Jon four years now. Jon will bring with him many qualities that I feel will help him excel in the position of mayor. A couple of those qualities are his ability to listen and study, then respond, to the needs of the community. I believe Jon has established himself as a very effective City Council Member. This has prepared him for the next step. Please look at www.VoteForJon.com. “Having worked with Jon Mutchler the past six years on the Ferndale City Council, I heartily endorse his candidacy for mayor of Ferndale. Jon Mutchler has been a significant contributor to some of Ferndale’s biggest projects in recent years, including a new library, a community center, a law and justice center and two new parks. He has either chaired or served on the City Council’s Finance/Administration, Planning/Land Use and Public Safety/Neighborhood Services committees, gaining extensive knowledge about Ferndale’s needs, operations and budgets. I’ve also been impressed with the civility and respect he brings to City Council meetings. Jon Mutchler has stood up for individuals at these meetings, enabling them to state their viewpoints without being bullied by other council members. Like our local businesses, he knows that city government should offer Ferndale residents great customer service. Speaking of local businesses, Jon Mutchler is an advocate for them. He wants city government to stay out of their way as much as possible. He know that when the business community thrives, the city and its citizens also will do well. 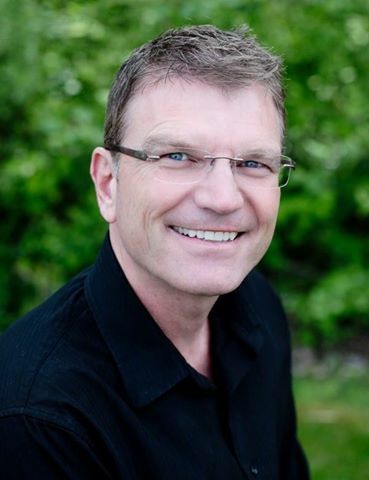 “Jon Mutchler has lived in Whatcom County a long time, over 30 years. While in my book that is a virtual newcomer, for many of us old-timers he at least has a couple of roots down. Running for mayor of Ferndale, Jon shares few of the tax-and-spend policies of the Bellingham mayor and council, and recognizes the responsibility to govern prudently. Jon understands that without business there is no tax base. He also understands the needs of schools. His wife taught in the Ferndale public school system, and can empathize with those requirements. 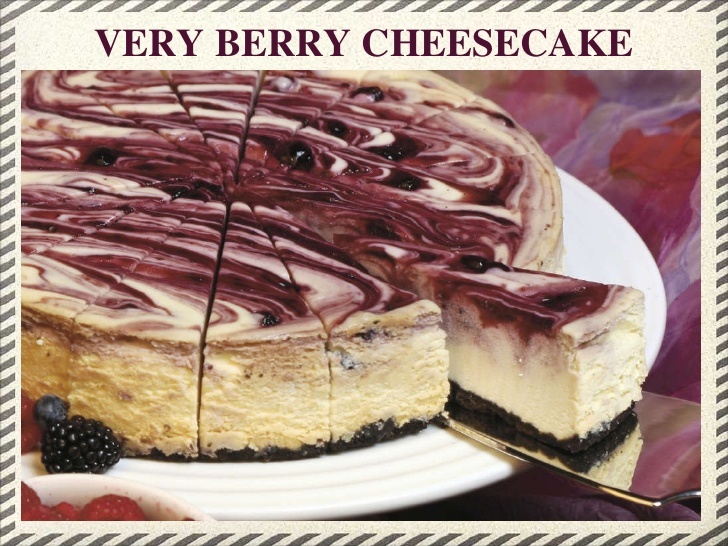 “As a former resident, business owner (Chuckanut [Bay] Cheesecake), City Council member and current home owner in Ferndale, I would like to give my support to Jon Mutchler for mayor. I have known Jon for over 25 years and can attest to his character, integrity and love for his city. He has shown great wisdom in his council career, balancing the needs of the people while looking out for the interests of the businesses in the community. He does a tremendous amount of research and seeks opinions and facts from diverse sources before he makes any decisions. I know he does not always make the most popular decisions, but I believe he always makes the decision he considers right. “I am backing Jon Mutchler for mayor of Ferndale. We bought our home just over eight years ago and have been trying to find ways to serve and get involved with our neighborhood. That chance came just about a year a go thanks to Jon. 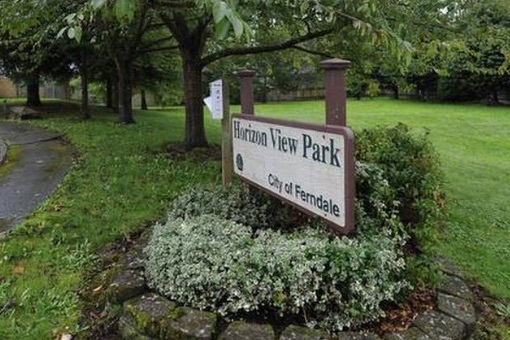 He went out of his way to make sure our cul-de-sac was aware that the City of Ferndale was planning to sell out neighborhood Horizon View Park to use the funds elsewhere. Jon was concerned that our neighborhood be informed of this upcoming vote (Oct 20, 2014) and so he hand-delivered, to each neighbor, a city letter providing the needed information. As a result of his efforts our neighborhood showed up at the council meeting and persuaded the council to not sell our park. The only council member who still voted to sell the park was Cathy Watson. Jon didn’t have to go door to door to inform us that the park could be “surplused” by the city, but it was important to him that we have a chance to say our peace about the proposal. I find his willingness and desire to do his research and communicate with the people of Ferndale to be above and beyond. I know he’ll do that for all of us as mayor.